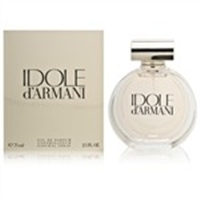 give me anything armani and you have made my day i use armani code as my everyday,romance for weekends and idole for special occcassions thow in she especially when am on holiday and you have one happy lady. I had a sample out of a magazine and liked it so much that I had to have it. A wonderful fragrance. It is light, not overpowering, just enough scent to signal your presence.It is my lastest scent. I wear it for errands and when going out for the evening. It's just that vesatile. Price was good too.